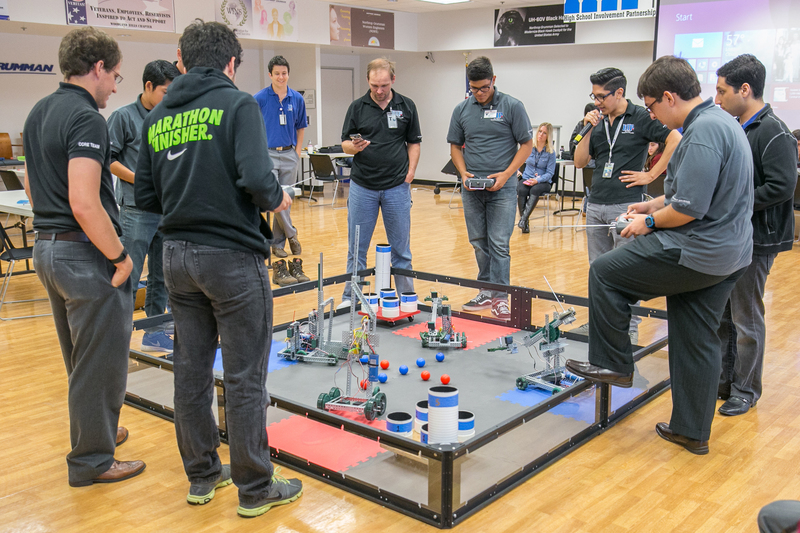 WOODLAND HILLS, Calif. â June 24, 2015 â Remote-controlled robots that play "basketball" and a website that lets students rate their teachers are among several projects designed by high school students in a mentoring program sponsored by Northrop Grumman Corporation (NYSE:NOC). The HIP program's 10th year in Woodland Hills concluded May 15 when eight students from Canoga Park High School competed in a robotics challenge and showcased their computer science projects. Students who successfully complete the HIP program are eligible for a partial college/university scholarship for four consecutive years. Scholarship requirements include full-time enrollment in an accredited academic program in engineering, physics, computer science or mathematics and maintenance of a 3.0 or above grade-point average. 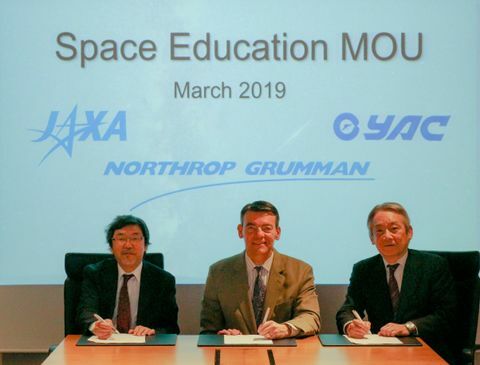 "The HIP program inspires students and contributes to a solid foundation for pursuing a technical career path," said Steve Toner, vice president and Woodland Hills campus lead executive, Northrop Grumman Electronic Systems. 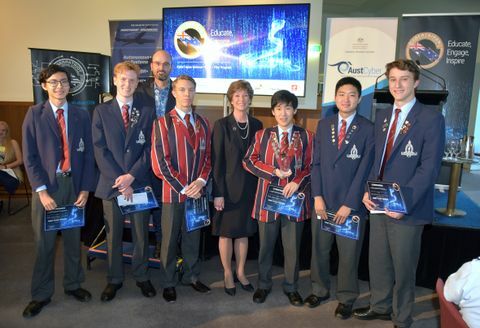 "I am impressed by the students and their creative solutions to real-world engineering challenges." Four high school seniors who completed their second year in the HIP program displayed their computer programming projects, including a mobile phone application to control an unmanned aerial vehicle, a "Rate my teacher" website and a universal remote control. 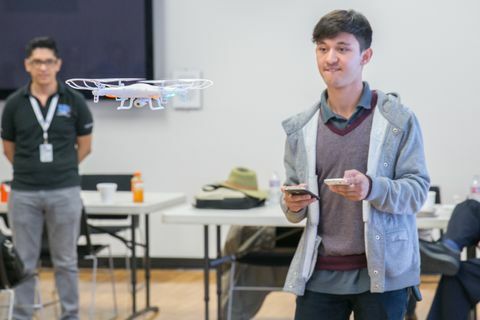 Four juniors who completed the program's first year showed how remote-controlled robots that they designed and built were able to skillfully navigate a course and play "basketball." The robotic vehicles picked up and dropped balls into cylinders of different heights, which represented varying difficulty levels and points earned. The students incorporated designs such as a cage that could hold multiple balls to make their robotic vehicles the most adept at collecting balls. Launched in 1998 by Northrop Grumman's Electronic Systems sector in Baltimore, Maryland, the HIP program has expanded to include company locations nationwide. To be accepted into the Woodland Hills HIP program, high school sophomores must attend a Northrop Grumman-partnered public high school, maintain a 3.0 or above grade-point average, complete an application, submit an essay with two letters of recommendation and be selected through an interview process. The program runs during the school year and requires a minimum two-year commitment.